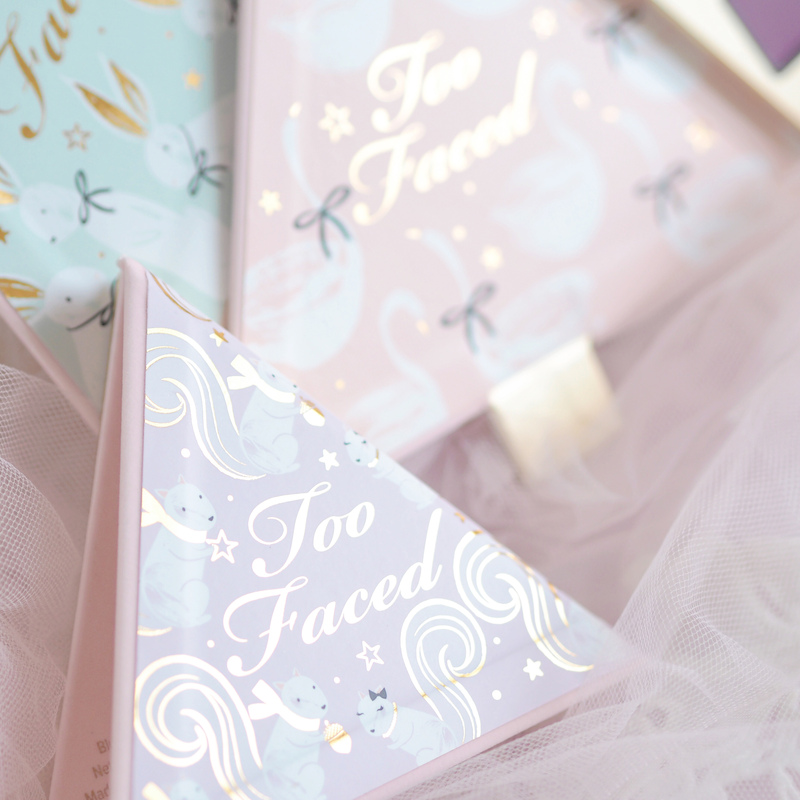 ‘Tis the season to make your pink Christmas dreams and festive beauty wishes come true, with the adorable new Christmas 2018 collection from your fairy godmothers at Too Faced HQ. I got my hands on three of the beautiful sets and I’ve been so eager to share them on here in all of their pink Christmassy glory. 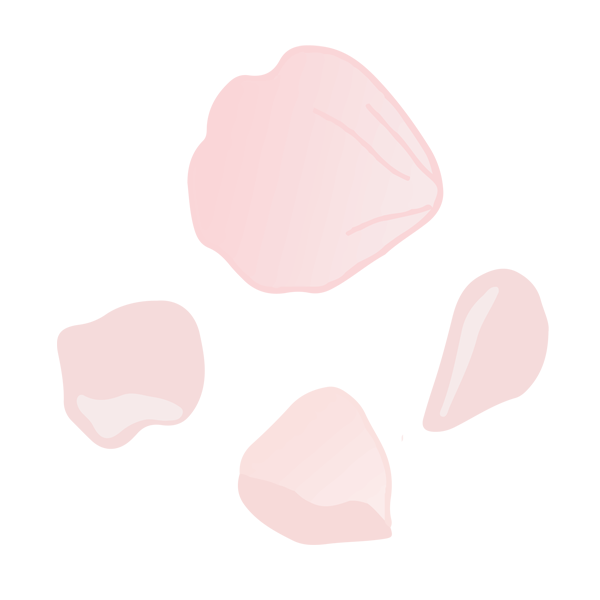 I’ll also be posting two individual more in-depth reviews of both palettes/sets as well so keep an eye out for those! For this year’s theme an adorable nutcracker-esque print can be seen cascading across the whole holiday collection, with white rabbits, charming puppies, little mice, dashing squirrels, snowy swans and pretty pastel details. 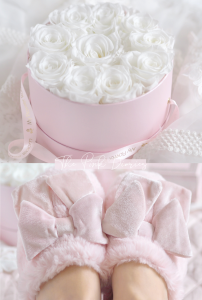 It’s just about the cutest, girliest design I’ve ever laid my eyes upon and will be just perfect for any pretty princess to receive this Christmas time! 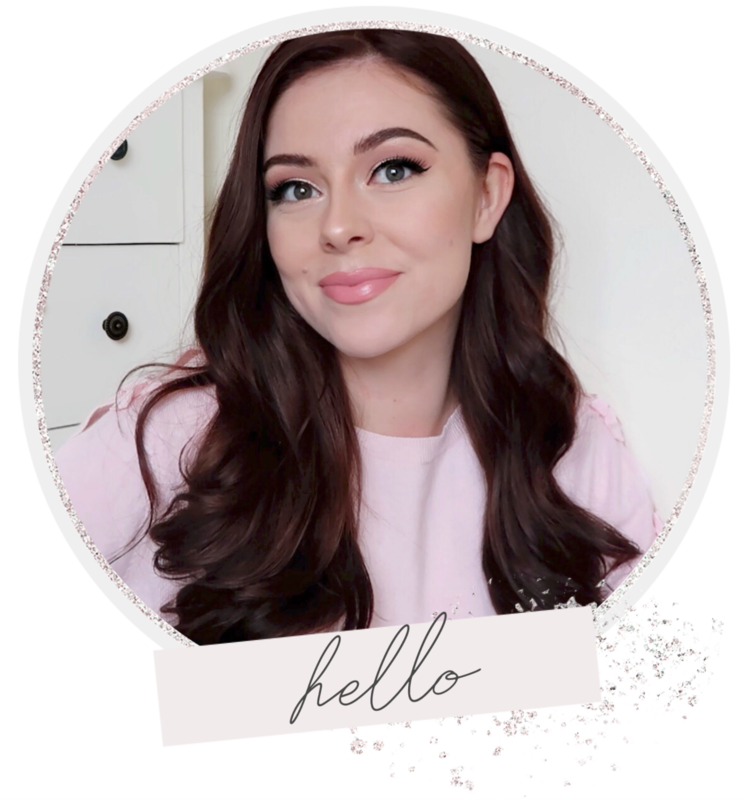 First up is the aptly named Under The Christmas Tree set, which contains three velvety pink palettes that all stack together to create the prettiest little Christmas tree you ever did see! 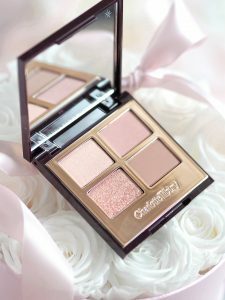 Each palette opens up to reveal a different pastel illustration and an array of eyeshadows and cheek essentials in gorgeous neutrals, with a few pops of colour to keep you sparkling throughout the festive season. 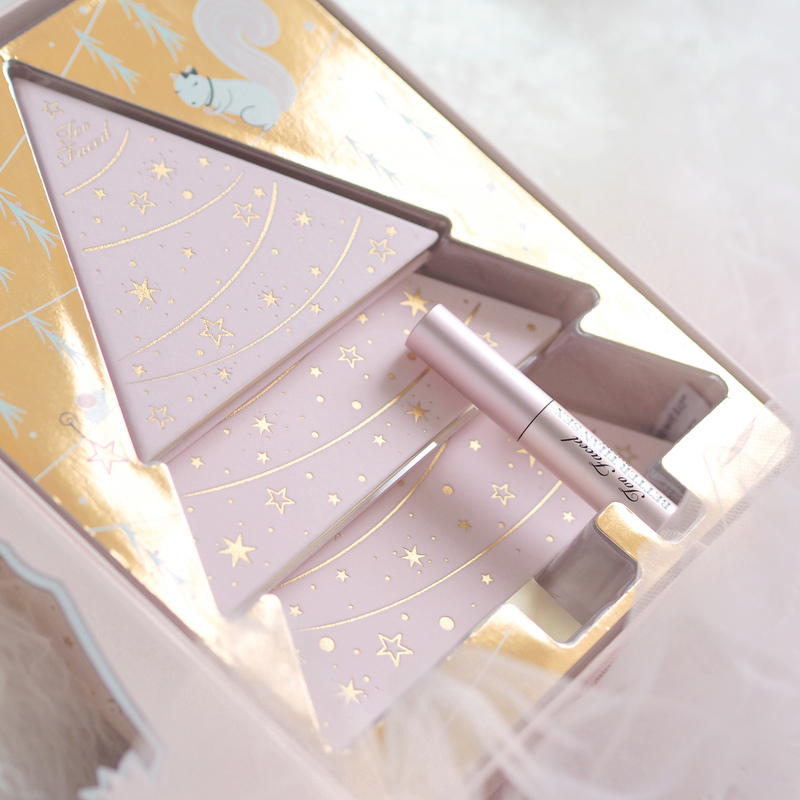 It’s an oh so perfect set to find under any Christmas tree. Full review to come! 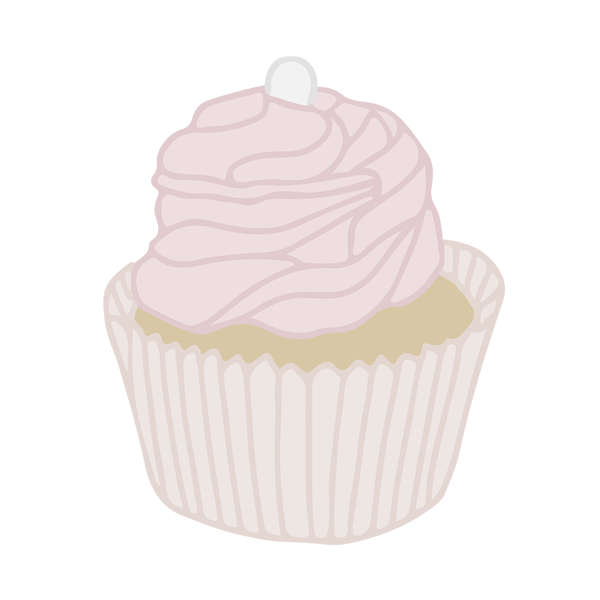 Oh my oh my! 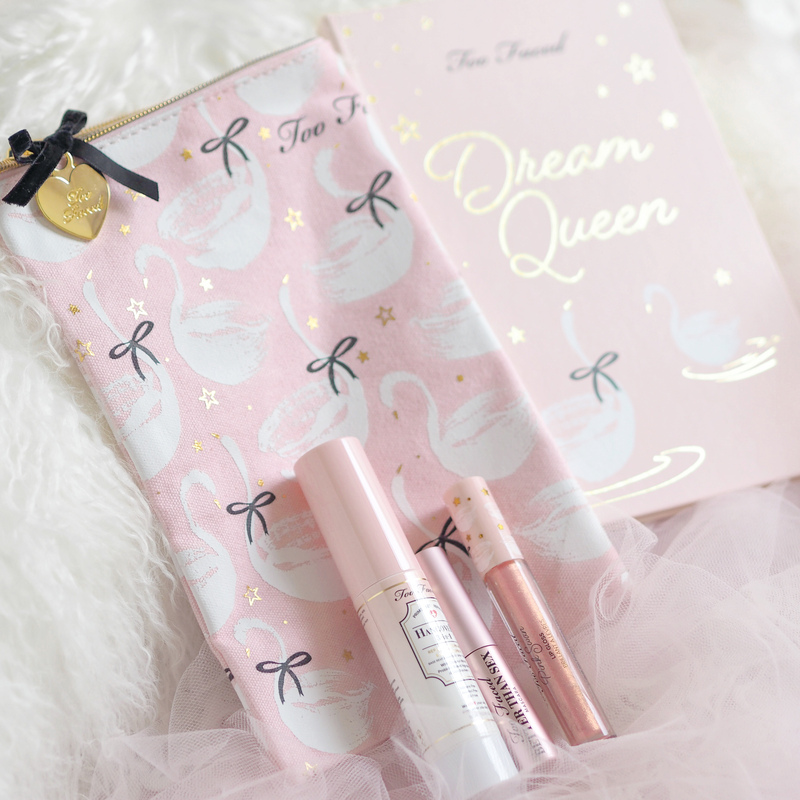 As the title may suggest the Dream Queen set is just about the dreamiest makeup collection ever. 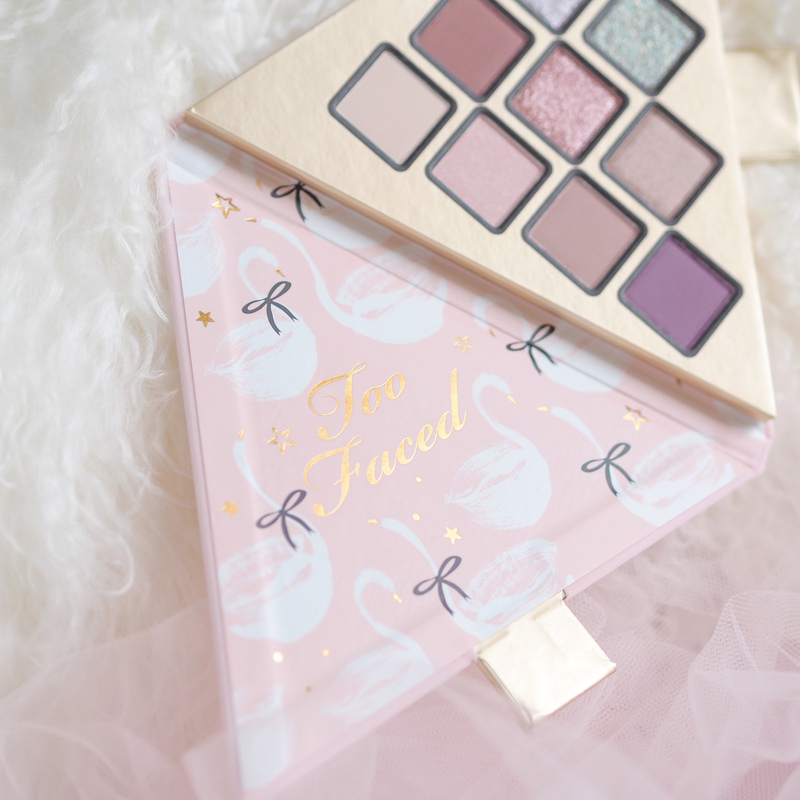 With delicate snowy swans and stylish black ribbon details, this set contains a large beauty palette with a huge selection of eyeshadows and pretty cheek options, complete with a gorgeous swan printed beauty bag, as well as two mini Too Faced best sellers and a limited edition lip gloss. I just adore the elegant swan print which makes the whole set so charming and elegant. Full review to come! 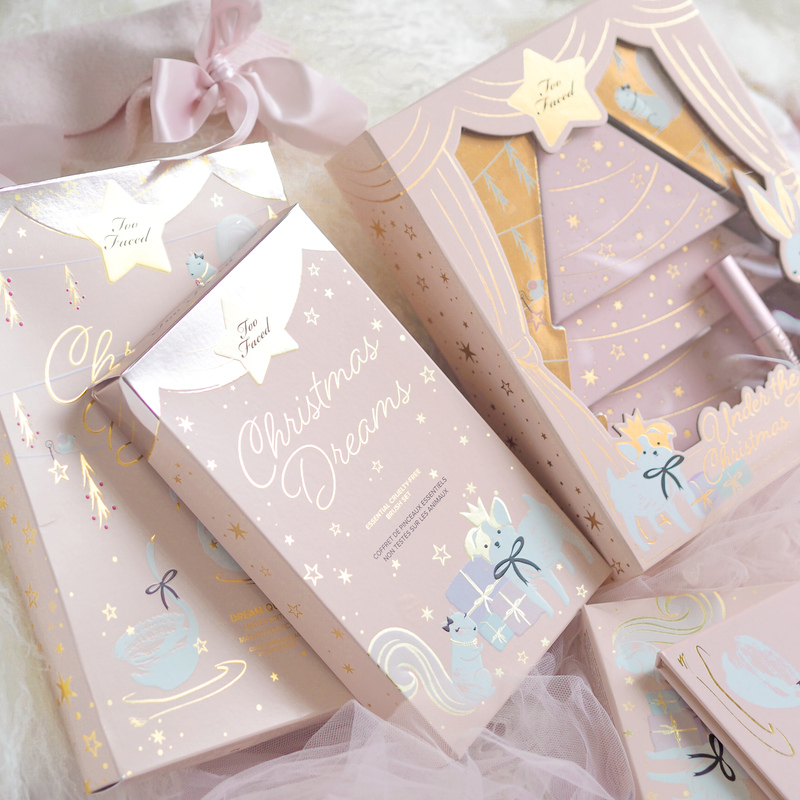 The Christmas Dreams brush set looks like it has been created with pure fairy dust sprinkled all over it because it really is that magical. 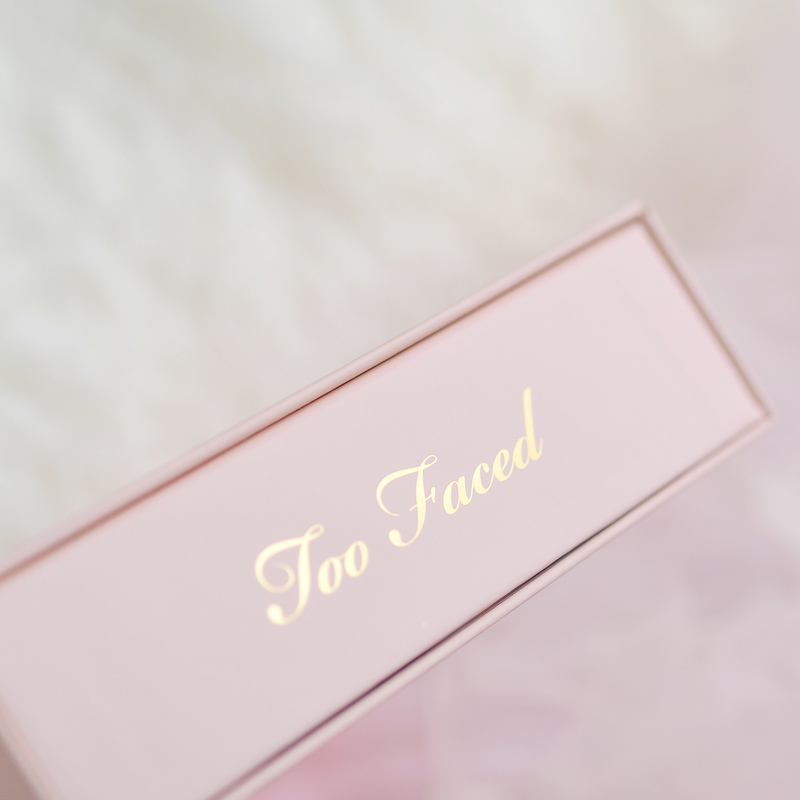 It contains five utterly gorgeous makeup brushes, with luxury pale pink bristles as soft as teddy bear hair, and pink handles decorated with dainty gold stars. 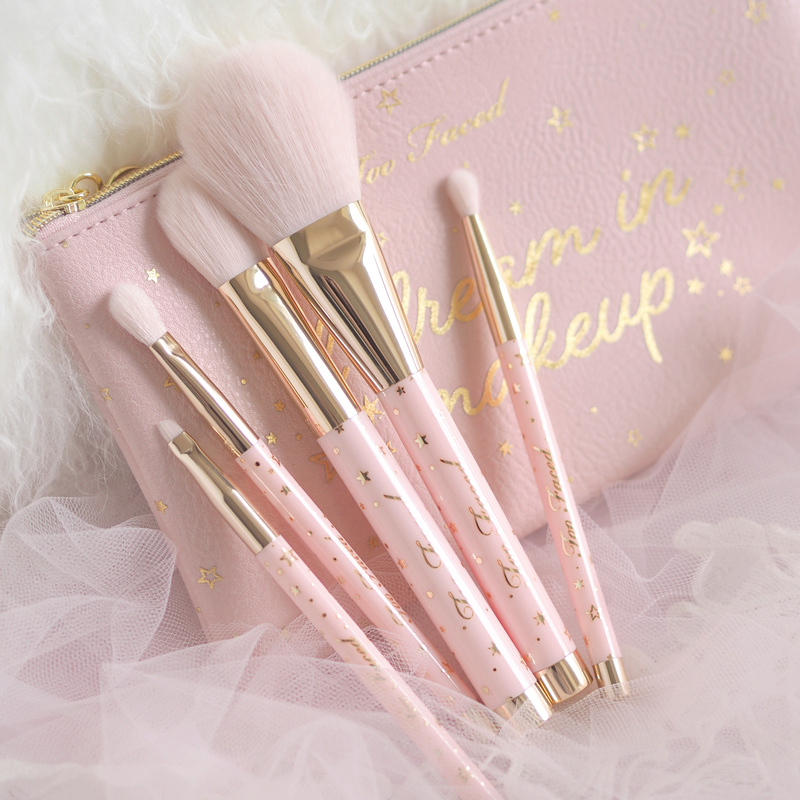 The brushes come complete inside a plush pink pouch with the same magical starry print, a golden heart zip, and ‘I Dream In Makeup’ written across it in luxury gold script. 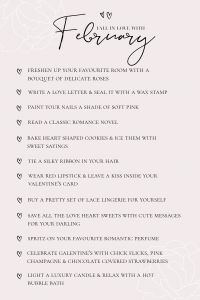 A truly special gift for any pretty princess in your life! 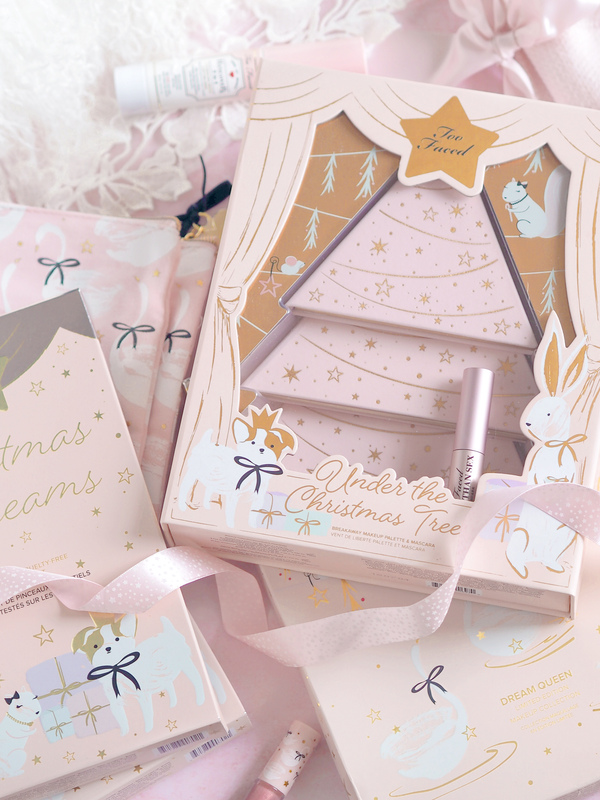 What do you think of Too Faced’s dreamy Christmas collection? 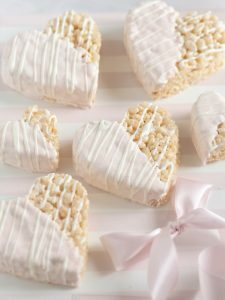 This looks like the most lovely collection! 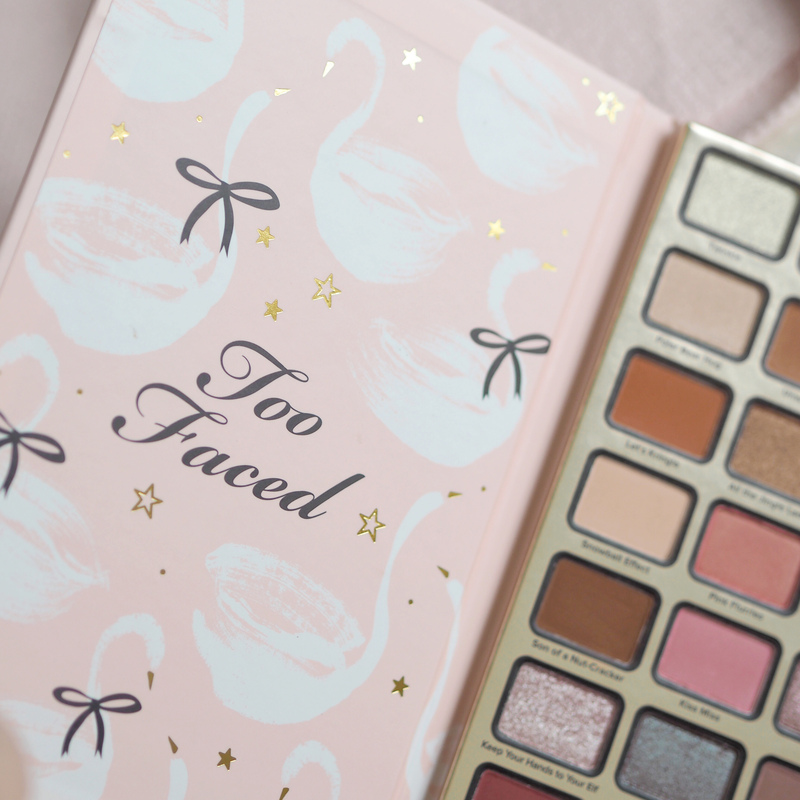 Te Christmas gift sets from Too Faced this year are just so cute! 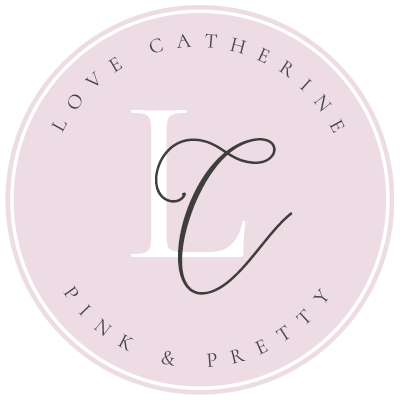 Definitely need the eyeshadows, love their formula.